Carl Grainger has a true entrepreneurial spirit. At the age of 12, he bought a new lawnmower with saved monies. That same day he pushed his new purchase through out the neighborhood charging $3 to $5 for each yard mowed and by day’s end, he had made his money back. Without realizing what he had done, his first business was started. 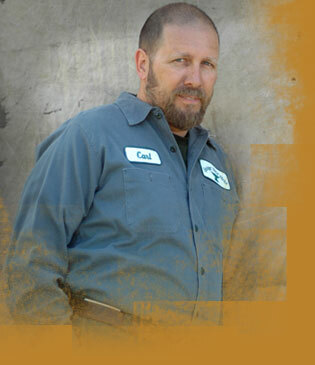 In 1981 Carl became employed at a manufacturing facility where he was taught welding and worked in one of the many fabrication departments. The company had a tremendous reputation for producing high quality products which Grainger would later incorporate into his own company. When the plant closed, a newly formed steel stair company hired Carl as an installer. This proved to be an excellent training ground for developing skills that would hone his ability to manage on-site installations. Within several weeks Grainger became crew leader. Wanting to learn more, Carl hired on with a structural welding company. He worked in the field and shop producing the I-beams and columns for large commercial buildings. After nearly one year of structural work, Grainger became a partner in a miscellaneous welding shop. Two years passed and Carl discovered a blacksmithing school in New Jersey, Peters Valley Craft Center and took a course titled “Plant Forms In Iron”. This first class was the cornerstone for the foundation that would become Grainger Metal Works. At this class “I discovered what I really wanted to do” Grainger states. He fell in love with working hot metal in a way he had not known existed. Carl was encouraged by his instructor to continue with classes at John C. Campbell Folk School. 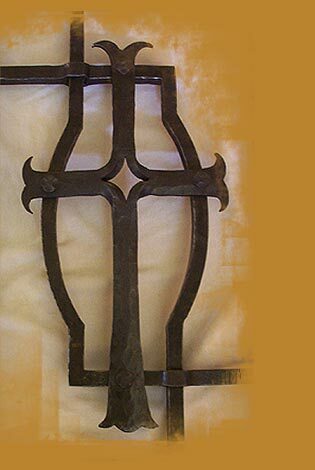 He has studied with professional blacksmiths from all around the United States and Israel. As a result of Carl’s studies and love of metalwork, he started his own company in 1991 wanting to produce and provide high quality metalworks for homes and businesses. Today Grainger and his team of craftsmen produce many forged and fabricated works that are crafted with the skill and care of old world techniques blended with the use of modern day equipment. He likes to think of this blending as the best of the old and the new—still producing the true craft. An active member of two of the most well-known organizations for metalworking and blacksmithing—NOMMA and ABANA—Carl still pursues his education for his chosen profession.